Peace Talks are top notch, experienced and skillful mediators. I saw this piece and was shocked. Bryan McQueeney is the chief executive of the nonprofit Ride On Therapeutic Horsemanship in Los Angeles and he sums up nicely some of the unfortunate possibilities. The new tax law, according to estimates from the Council on Foundations, will drain $16 billion to $24 billion a year from the nonprofit sector going forward. At a time when discretionary government services are diminishing, and as deeper cuts are contemplated, the role of nonprofits in filling the holes in the social safety net is becoming more essential. The problem is that while the Tax Cuts and Jobs Act preserves the deductibility of charitable contributions, it restructures the system so that millions will lose incentives to give. It is undeniable that the reward for giving will go down and the cost of giving will go up. Here in California, the effect of the new law will be particularly painful. The tax reforms limit the deductibility of state and local income and property taxes to $10,000. This is a high-tax state, and many residents’ state and local tax bills will far exceed this limit. The loss of this valuable deduction will leave them with less to give to their favorite charity. The Tax Cuts Act simultaneously raises the standard deduction to $24,000 for a married couple. For millions, it will no longer make sense to itemize, and that too means fewer charitable gifts: You can only deduct donations if you itemize. For those who want to give, it is more important than ever to donate with your heart and your mind. 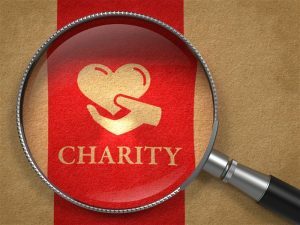 Get to know the charities that interest you. Pick a cause that’s close to your heart, whether it’s answering an urgent call to help victims of disasters or supporting long-standing needs. We know we can’t change the world, but we can change lives.